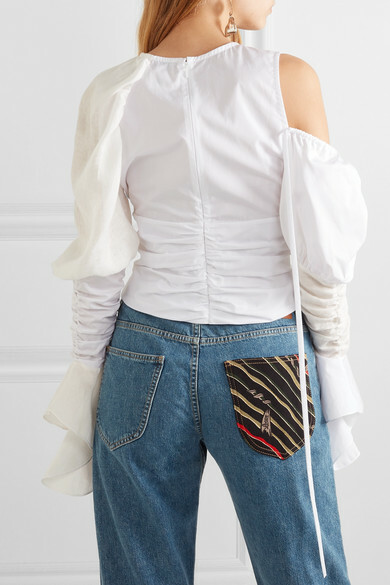 Loewe's Spring '19 collection is awash with lightweight fabrics, from kaftan-inspired tops to fringed shirt dresses. 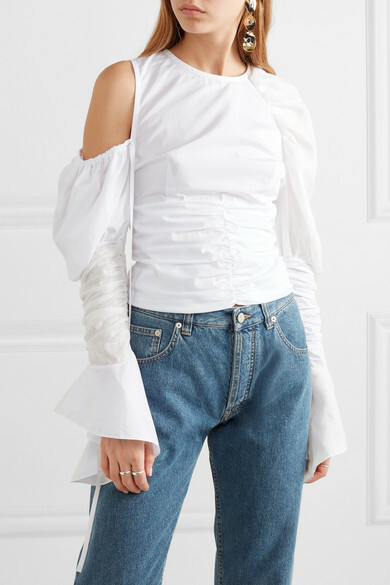 This cotton top is constructed with a cutout shoulder, long sleeves and flared linen cuffs. 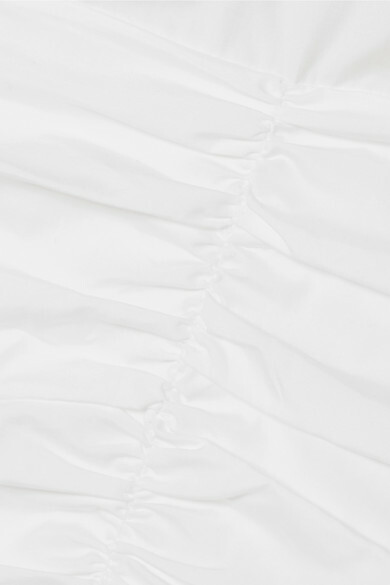 The ruched bodice and slightly cropped hem will look great with anything high-waisted - wear yours with jeans and barely-there sandals. 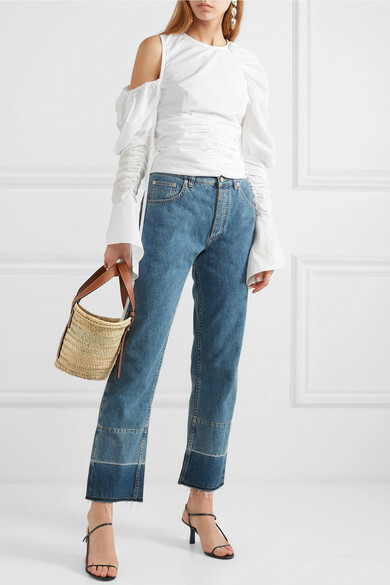 Shown here with: Loewe Jeans, Loewe Tote, The Row Sandals, Sophie Buhai Rings, Leigh Miller Earrings.